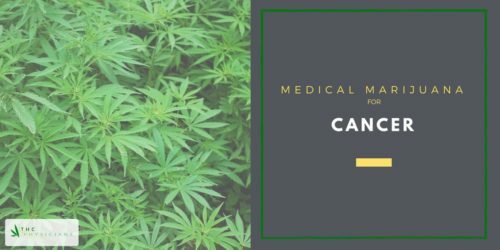 Research has shown that medical marijuana for cancer can be beneficial in both the treatment of the symptoms of cancer as well as the side effects of cancer therapies. Other promising research has shown that cannabis can kill cancer cells without harming normal cells. ?Below, we present medical evidence in favor of medical marijuana as well as conflicting arguments based on research. Several studies have showcased positive reductions in nausea and vomiting as a result of marijuana usage. In one such study, 15 patients were provided with a placebo and smoked delta-9-tetrahydrocannabinol (THC) as an antiemetic. Of those 15 patients, 14 of them reported a reduction in nausea and vomiting using THC compared to the placebo. In a separate study titled Effects of Smoked Cannabis and Oral ?9-Tetrahydrocannabinol on Nausea and Emesis After Cancer Chemotherapy, evidence from the trials of six states were examined to determine the results of smoked marijuana and nausea. The results were positive: 70-100% relief was reported by the patients who smoked marijuana and 76-88% relief was reported for patients that used a THC capsule. The conclusions on these studies indicate that marijuana can be a successful treatment for nausea and vomiting after cancer chemotherapy. Perhaps some of the most startling findings are those that present evidence that cannabidiol as a cancer cell killer. In addition to cannabinoids (CBD) being used to aid in emesis and pain, recent discoveries suggest that these compounds may also aid in the “targeting and killing [of] cancer cells." In the study, Cannabidiol as potential anticancer drug, researchers concluded that “evidence is emerging to suggest that CBD is a potent inhibitor of both cancer growth and spread.” Furthermore, the anticancer effects of CBD are limited to cancer cells and do not affect normal cells. This study specifically mentioned the benefits of CBD for breast cancer, glioma, leukaemia/lymphoma, lung cancer, endocrine tumours, and colon cancer. In Medical cannabis access, use, and substitution for prescription opioids and other substances: A survey of authorized medical cannabis patients, 271 respondents evaluated the efficacy of medical cannabis as a substitute for other cancer pain drugs. The self-reported use of cannabis as a substitute for other drugs included mentions of opioids (30%), benzodiazepines (16%), and antidepressants (12%). Patients also substituted medical cannabis for alcohol (25%), cigarettes/tobacco (12%), and illicit drugs (3%). The researchers concluded that cannabis is a viable substitute for pain management and further highlights the classes of prescription drugs -- as well as illicit drugs -- that are being used to manage pain. The American Cancer Society opposes the smoking or vaping of cannabis because the carcinogens in smoke pose health hazards. They caution against the inhibitions caused by THC such as lessened control over movement, disorientation, and unpleasant thoughts of anxiety or paranoia. Furthermore, medical marijuana drugs may increase some of the effects of other cancer drugs such as sleeping pills or sedatives. Cancer is a name given to a collection of related diseases that includes over 100 different types. All types of cancer occur when the body’s cells begin to divide and spread into surrounding tissues. Cancer cells can influence normal cells, molecules, and blood vessels. It is considered to be a genetic disease that affects 1.685 million patients per year in the U.S. Many traditional cancer treatments are littered with side effects, making the research behind cannabis and CBD even more popular. These side effects are too numerous to mention, but may include anemia, appetite loss, delirium, hair loss, infection, nerve problems, pain, nausea and vomiting, sleep problems, memory problems, fatigue, and more. Patients with cancer have shown positive results with the usage of medical marijuana. If you are interested in trying medical marijuana for cancer or are inquiring for a loved one, you should first seek out your state laws to determine the legality of the drug in your state, the types of medicine you can use, where to get it, and how much you need. 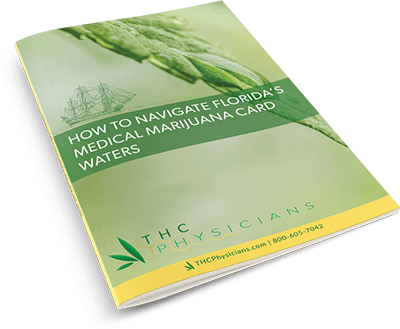 If you are located in Florida, check out THC Physicians for your medical evaluation, the first step in getting a Florida Medical Marijuana Card.